So long summer — and hello CU! We hope everyone had a fun-filled summer — whether studying abroad, enjoying a nice vacation or some much-needed R&R, or even working on those internships and summer jobs. 1) It’s finally here! The Campbell University School of Osteopathic Medicine welcomed its first class of students on Monday, August 5. The Levine Hall of Medical Sciences supports state of the art simulation labs, anatomy labs, classroom lecture halls, study rooms and a small cafe. News outlets all over the country have been positively buzzing about Campbell’s newest school and we couldn’t be more Campbell Proud that it’s here! 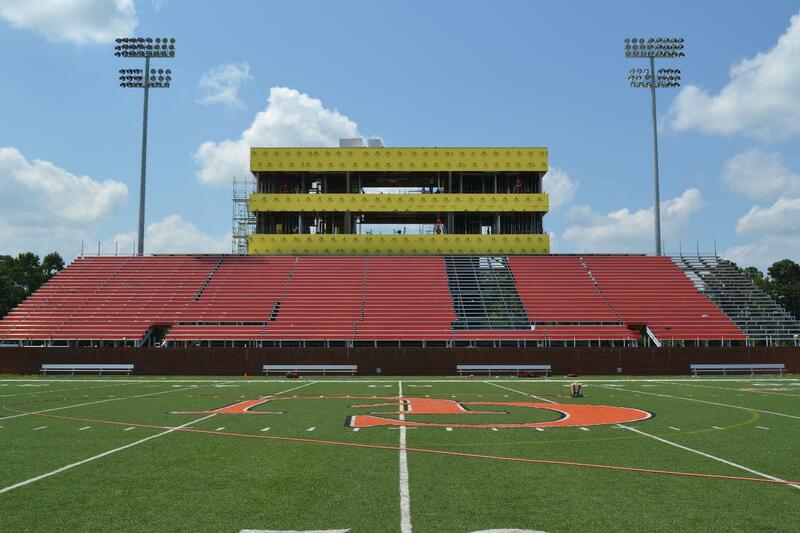 2) No more “trailer in the sky.” Construction crews have been busy over at Barker-Lane Stadium. Significant progress is made daily at the new-look home of the Camels, with most of the grandstand’s structure and fixtures in place. Crews will begin installing seats in the coming days. With the main structure in place, interior utility work progresses in the tower, and masonry continues beneath the grandstand. Nearly all steel for the project is in place, as the team practices through training camp. The 2013 season will begin on Aug. 31 at Charlotte. The team’s six-game home schedule will start with UVa.-Wise on Sept. 7 at 6 p.m.
3) Changes in leaders announced. Dr. Dwaine Greene, the Provost and Vice President for Academic Affairs, has been selected as the next president of Georgetown College in Kentucky. Campbell’s loss is Georgetown’s gain. Congratulations, Dr. Greene! J. Rich Leonard took over as new dean of the Campbell Law School on July 15. 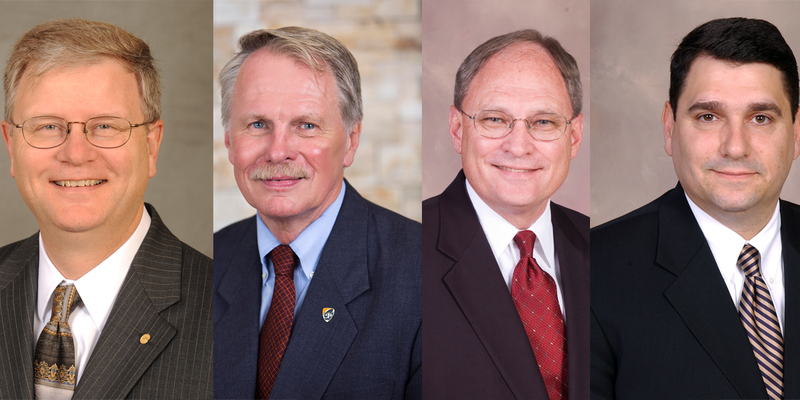 And Dr. Ben Hawkins, dean of the School of Business announced his retirement come December. Keith Faulkner will take over as dean. 4) The Student Infirmary becomes the Campbell Health Center. Campbell University’s Health Center has opened its doors to the public. 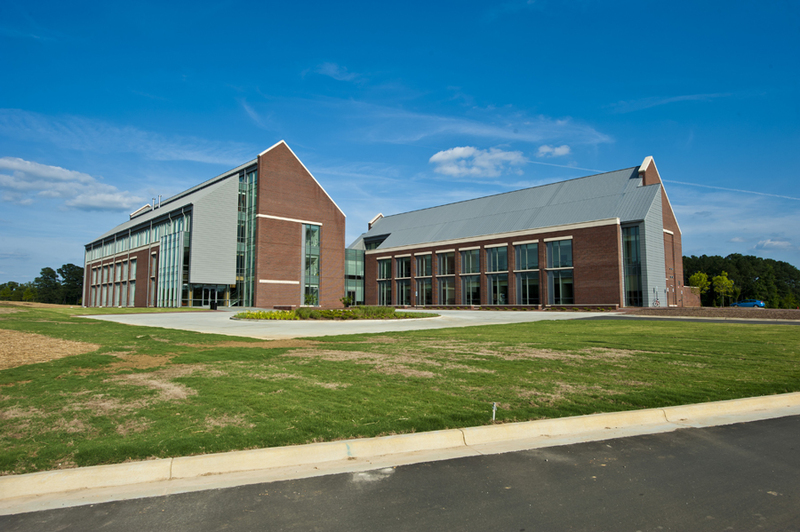 The Health Center located on the university’s main campus in Buies Creek now boasts a full medical staff and an in-house pharmacy, with specialities in family medicine, geriatrics, sports medicine, weight loss, counseling and OMM. 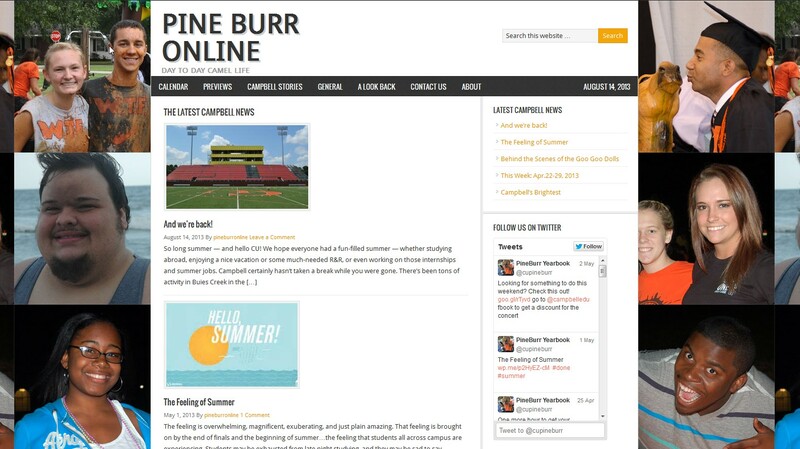 5) And last but not least — your Pineburr Online got a new look. Check out the Featured Events. and Calendars, just like usual. Be sure to follow us on Facebook and Twitter! So what did you do with YOUR summer?